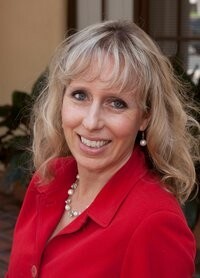 Susan Green has been the branch manager of the Camarillo office for Independent Capital Management since 1995. Susan is a Senior Managing Partner for ICM and serves on the Board of Directors for the company. She is a Certified Financial Planner™ Professional and a Registered Principal with SagePoint Financial. Susan is also a Notary Public for the state of California and a licensed life and disability agent. Susan is an Investment Advisor Representative with Independent Capital Management, Inc. Susan has had one of the top production offices for ICM for the past 16 years. Susan grew up in Cheney, Washington and graduated from Washington State University with a business degree in 1988. She has been in the financial services field since 1993. Susan resides in Simi Valley, CA with her three dogs Ruby, Andy & Katy. Susan spends her free time as a police officer for the City of Santa Paula. Susan specializes in helping individuals and families with all aspects of financial planning. Those aspects include college and retirement planning as well as insurance, estate and tax planning*. Susan’s focus is to provide a complete financial plan that helps prepare a client for pre and post retirement needs.